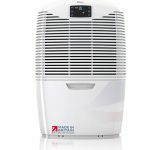 Home » Guides » How Much Does a Dehumidifier Cost to Run? We often get asked how much it costs to run a dehumidifier. It’s an important topic, as rising energy bills have forced everyone in the UK to be more aware of how much their appliances cost to run. It’s a difficult question to answer, as the cost varies wildly. Factors such as the temperature, type of dehumidifier (desiccant or refrigerant) and energy-saving features all affect the running costs. Manufacturers also confuse the issue by adding the phrase “energy efficient” to every product description – whether it’s deserved or not. With that said, it’s possible to get a rough idea of a dehumidifier’s running cost before you buy. 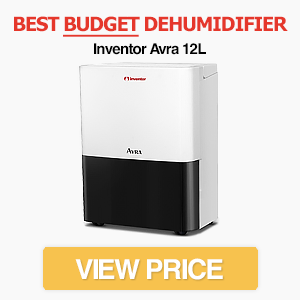 The aim of this article is to give you a general overview of running costs so you can budget for your new dehumidifier. Note: Check out how long to run your dehumidifier if you want to minimise energy costs while maintaining a healthy relative humidity. The running costs of a dehumidifier varies depending on its power rating and your energy tariff. Here’s a rough estimate using the average energy tariff of 15.41p/kWh, which was the average in June 2017. If you only need to run a dehumidifier for 2-4 hours per day, which is common once a baseline humidity has been established, the energy costs (per day or week) are likely to be even lower. Data provided by Sust-It.net and is an estimate only based on an energy cost of 15.41p/kWh. *Based on 12 hours per day usage. All dehumidifiers are rated in Watts (W). This is the amount of power the dehumidifier uses, which is another way of saying the amount of energy per second the dehumidifier requires to run. The higher the power, the more energy the dehumidifier will use. Things are a bit more complicated than this though. While a dehumidifier is sold with a power rating, that doesn’t mean it uses this power all the time. Most dehumidifiers have multiple modes. Low or medium fan settings use less energy, although they don’t remove moisture as quickly. When you first get a dehumidifier, you’ll probably run it on full power to establish a baseline level of humidity. During this stage, the dehumidifier might be running all day. Once this baseline has been established, however, you probably won’t need to run the dehumidifier for more than a few hours per day. You might also only need the low or medium settings, which reduces energy usage further. There’s also the endless debate between desiccant and refrigerant (compressor) dehumidifiers. We talk more about the general differences here, but a refrigerant dehumidifier works best in warmer temperatures, while a desiccant is the better option for low temperature applications. In terms of energy efficiency, however, a refrigerant dehumidifier is often cheaper to run. Desiccant dehumidifiers have a warming effect though, which can mean you don’t need to heat your home as much during the winter months. They are also faster at removing water in cooler conditions, which may mean they don’t need to be run for as long to maintain low humidity. Dehumidifier manufacturers are more conscious of energy usage than ever before. Newer dehumidifiers are being built with a variety of energy saving features to help keep energy costs low. A good example is the Meaco Low Energy (which is also our top pick at the moment). With a power rating of just 255W, it costs around £0.04 per hour to run on full power. The dehumidifier also includes Meaco’s “Control Logic” so that it switches on and off depending on the current humidity. What about a dehumidifier with a higher power rating though? 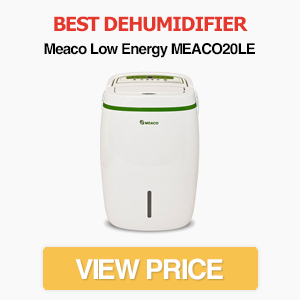 The Meaco DD8L Portable, for example, is a desiccant dehumidifier with a power rating of 650W. This means it costs around £0.10 per hour to run on full power. As it’s a desiccant machine, it will warm a room and remove water faster in cooler conditions. This can offset the extra energy costs – although in warmer conditions a refrigerant is the cheapest option. That doesn’t mean all dehumidifiers are energy efficient though. Some low-quality dehumidifiers use far more energy than they should, while also being slow to extract water. Considering you can get an excellent dehumidifier for under £200, it’s usually best to spend a bit extra on a high-quality machine. Humidstat + Smart Control. If a dehumidifier monitors the humidity and only switches on when needed, it’ll use less energy. Hydrophilic Coil Coating. Refrigerant dehumidifiers with this coating have higher water extraction rates, so you don’t need to run the dehumidifier for as long. Overdrying Protection. Some dehumidifiers switch off automatically if the air becomes too dry. This prevents dry and cracked lips while reducing your energy bill. As you’ve probably realised, it’s often difficult to estimate the cost of running a dehumidifier. Aside from the machine’s power rating, the ongoing costs are affected by humidity, temperature, energy saving features and running time. With that in mind, how can you decide whether a dehumidifier is worth the money? Your home is easier to heat, as there is less moisture. Moisture requires up to four times more energy to heat than air, so lowering humidity could allow your home to heat up faster when the central heating clicks on. Dryer homes also feel warmer, so you can turn down the thermostat. Even turning down the thermostat by one degree can lead to significant savings. 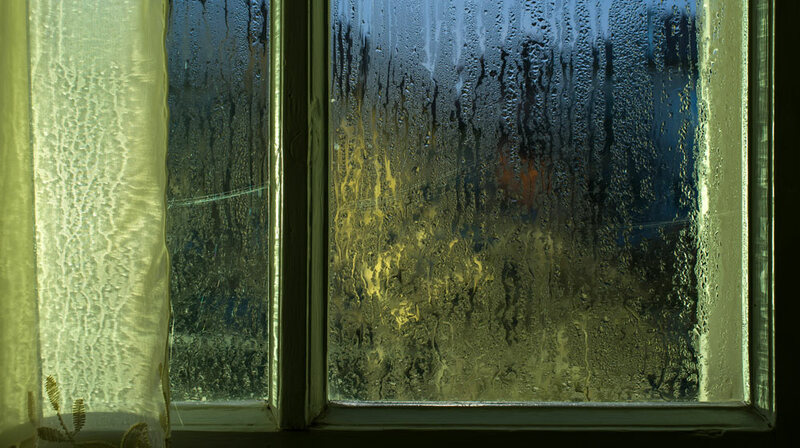 You won’t need to leave windows open as much, which again makes your home easier to heat. This is especially important during the winter months. The reduced moisture can prevent damage to furniture. It also means you won’t need to buy anti-mould spray and similar products. Lowering humidity can prevent mould growth on walls, tiles and ceilings, which is costly to remove. Of course, energy usage isn’t the only consideration when buying a dehumidifier. If you’re tired of condensation or mould, a dehumidifier is one of the fastest ways to reduce humidity. Reducing humidity can also eliminate dust mites, which can relieve allergies. It can reduce “musty” smells in your home while preventing mould from spreading. It can even reduce skin and lung irritation. For these reasons, the benefits of buying an energy efficient dehumidifier nearly always outweigh the extra electricity costs. 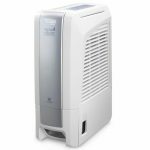 Check out our dehumidifier reviews for more information on the best models. To summarise this article, getting a dehumidifier is often a cost-effective purchase for a humid and damp home. Dehumidifiers use energy (some more than others), but they can also reduce energy consumption in other ways. They are also the fastest way to reduce humidity, which has a range of benefits.